Aluminum Bleacher Rentals for Any Event! Our bleacher rental projects include providing rental bleachers grandstands for air shows, parades, rodeos, marathons, sporting events, and political speaking events in Florida and surrounding areas. Our aluminum rental bleachers are assembled on site which allows us to install in locations other companies just can’t reach. We offer indoor and outdoor rental bleacher seating options and look forward to adding your event to our calendar. Enterprise Alabama – Monster Trucks – Loud Trucks… Great rental sleacher seats for monster truck show! Royal Pains T.V show – 10row bleachers and materials rental for studio special effects. 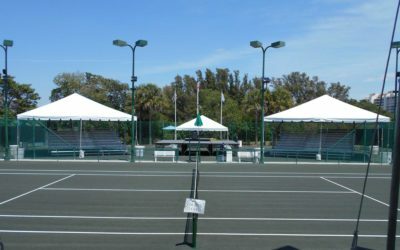 Multiple Rentals of Bleachers for Tennis Tournaments throughout Florida including Sarasota, Naples, and Fort Myers. Multiple Fairs and Festivals including Melbourne FL, Central Georgia, Alabama all bleachers accommodating spectators for truck pulls, concerts, and more. 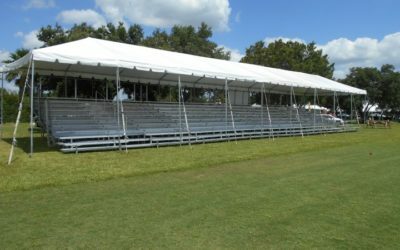 Amelia Island Florida – Sea Lion Show – Parking lot rental bleacher installation to accommodate 400 guests for special event. Thanks to all of our great customers, we have been able to continue growing and now provide rental bleachers beyond Florida into Georgia, South Carolina, Alabama, and Mississippi through RentalBleachersInc.com. We are currently expanding to provide bleacher rental services nationally, so contact us to see if we have any portable aluminum bleachers for rent in your area! We appreciate the opportunity to get to serve your event by providing quality bleachers for rent. Our event list does not include all events we have served, only those that approve our sharing their use of Florida Bleacher Rentals. When renting, please let us know if you wish for us not to share any details of your rental bleacher event with our prospective customers, and ask about potential discounts for sharing us in your social media or website! 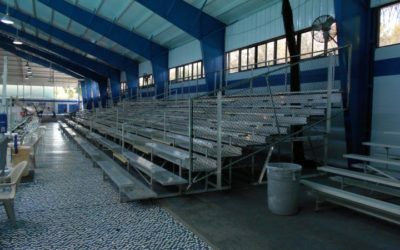 Recently Florida Bleacher Rentals was contacted by an event team in Orlando, Florida wanting to install temporary bleacher seating for an event located inside an indoor pool facility. The project definitely had unique challenges as we had to carry all the aluminum bleacher materials into the pool facility and make sure the bleachers were positioned with enough clearance to keep non-competitors out of the pool. The aluminum rental bleachers used for this event were 4 bleacher sections each 21’ long 10 row bleachers, connected together to make (1) longer section of 84’ long 10 row bleachers seating 416 people. The Sarasota – Bradenton Florida area recently put on a Modern Pentathlon Event at the Polo Grounds. The portable rental bleachers selected to be used for the event were an 84’ long 10 row section seating 500 people @ 18” per seat. The covered aluminum bleachers were installed under a tent to provide both shade and protection from the weather, as this was an outdoor bleacher event. The installation area was flat hard grass and the truck and trailer could be pulled up behind the installation area making this a perfect project all the way around.